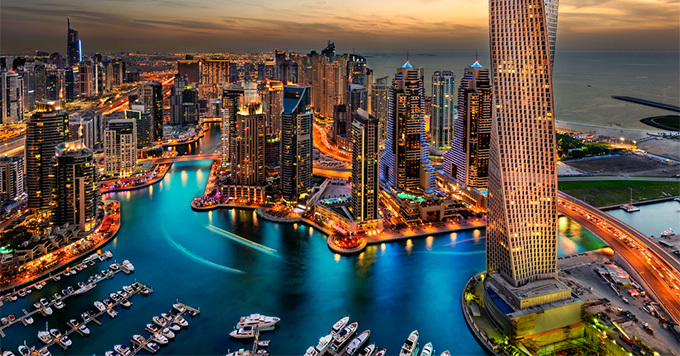 (12 noon EST) -- Dubai cruise port has revealed it is on track to welcome one million cruise passengers by 2020. In the same year, the cruise port will see the opening of Dubai Harbour -- a brand-new waterfront facility featuring two cruise terminals that will accommodate up to three cruise ships at any one time -- taking Dubai's cruise ship capacity to eight. The new development is expected to accommodate up to 1.2 million cruise passengers annually. Dubai is already set for a record cruise season this year, with a 152 cruise calls planned -- a 37 percent increase year on year. Speaking to Cruise Critic earlier this week at World Travel Market in London, Director of Cruise Tourism in Dubai, Jamal Humaid Al Falasi, said: "We have six ships homeporting in Dubai this year -- including P&O Cruises' Oceana -- and expect 152 cruise calls. This means 725,000 passengers and crew arriving in Dubai this season." P&O Cruises' Oceana is set to offer 10-night Dubai & Arabian Gulf sailings from January 30, 2019, while MSC Cruises plans to homeport two ships in Dubai for the 2018/19 season; MSC Lirica and MSC Splendida will offer a mix of seven- to 14-night sailings from November 2018. "MSC bringing in a second ship [this year] has definitely pushed our year-on-year growth figure for 2018/2019," said Al Falasi. Other lines in Dubai include German lines TUI Cruises and Aida, and Spanish line Pullmantur. Growth will slow slightly next year, with a 12 percent increase in cruise calls (year-on-year) predicted for the 2019/2020 season. "For 2019/2020 we have 170 ships calling and eight ships homeporting in Dubai. We are currently negotiating with the lines and starting to plan ahead to 2021 and beyond," Al Falasi added. Once complete, Dubai Harbour will also contain a new marina; Dubai Lighthouse, featuring a luxury hotel and an observation deck; a shopping mall; an events arena; residential buildings; further hotels, offices and shops. --By Kerry Spencer, Editor, U.K. Editor, U.K.